Born in Chiswick, London on May 9, 1953, john Edwards is a bass guitarist. At the age of 11 he won a scholarship to the London College of Music. Ten years later, he was playing simultaneously in two pub bands in the White Bear in Hounslow. Edwards' bass playing first appeared on a hit record in the UK in 1977, when 'Magic Fly' by the French group Space reached the Top 10 of the UK singles chart. Later on he joined Judie Tzuke's backing band whereupon he was given the nickname 'Rhino' for being so clumsy. 'Rhino' has played with Peter Green, from Fleetwood Mac fame, Climax Blues Band, and also Dexys Midnight Runners. 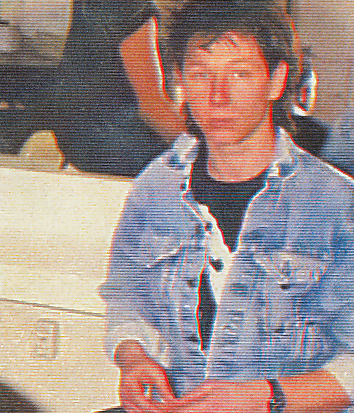 John joined Kim Wilde's band in early 1985 for the Rage to Rock tour. Edwards was working with drummer Jeff Rich, when Status Quo guitarist Rick Parfitt approached them both to work on his solo album 'Recorded Delivery'. When Status Quo reformed with a new lineup in 1986, Edwards and Rich were called in to replace founding member Alan Lancaster and drummer Pete Kircher. He released the album Rhino's Revenge in 2000, on which some tracks featured other members of Status Quo. Recently he has played a small number of gigs in the UK and Europe with Woodedz, playing alongside his children. As a fan of Brentford F.C., Edwards wrote a song in early 2006 about striker Lloyd Owusu's return to the club for the start of that football season.